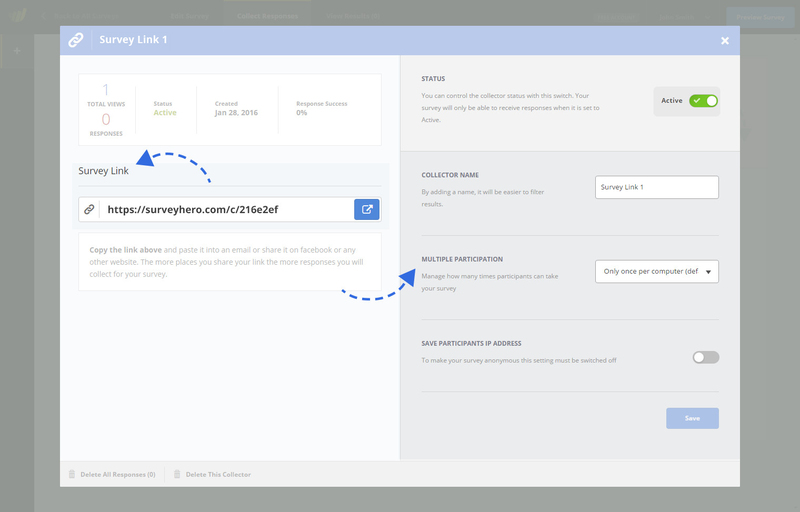 When you are finished editing your survey, the next step is to create a Collector and use it to share your survey with everybody. We have a range of Survey Collectors to choose from. The most commonly used and a great one to get you started is the Survey Link Collector. 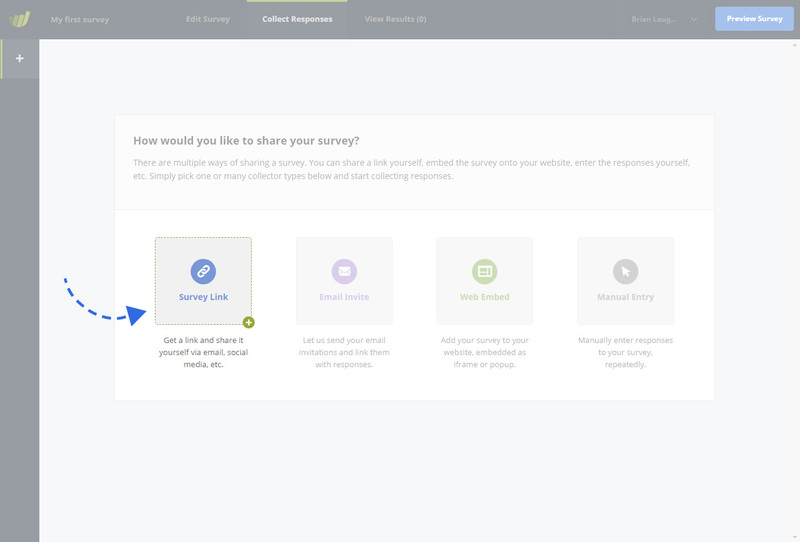 To create a new Survey Link Collector, go to the “Collect Responses” section and click on the “Survey Link” button. This will open up an overlay where you can give your collector a name. After you name your collector, you will see the collector settings screen. This is where you can make changes to a range of different options. 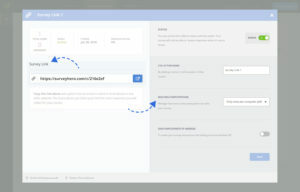 For example, if you create a Survey Link and set the “Multiple Participation” option to be “Multiple times per computer”, then people who visit the link generated by that collector will be able to participate in the survey more than once. The powerful thing about collectors is that for each survey you can create as many collectors as you want. This means you can have one survey with multiple links; each with different options. At this point, you can copy the link and share it any way you would like. For example, in an email, tweet or Facebook post. The more places you share the link the higher the chance that you will get a larger number of responses. You can create as many Collectors as you need; there are no limits. For example, you could create one survey link to be shared with your customers by email, and another survey link to be posted on Social Media. In the “Results” section of your survey, you will then be able to filter responses by these two groups of participants.